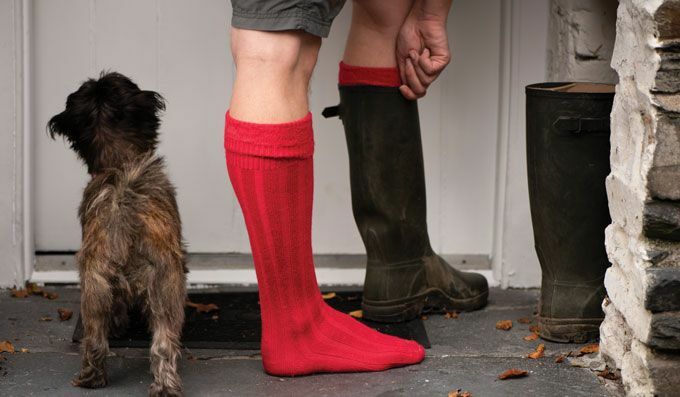 Arbon Socks (previously part of John Arbon Textiles) is a small business based in the Lake District countryside. We produce luxury socks made from natural fibres including alpaca and British wools. The majority of our yarns are still spun for us by John Arbon down in Devon. All our socks are knitted for us in England. We source the fibres for our socks in the UK as much as possible, and use the wool from local sheep breeds such as Blue Faced Leicester and Exmoor Horn. You can read more about the fibres here. 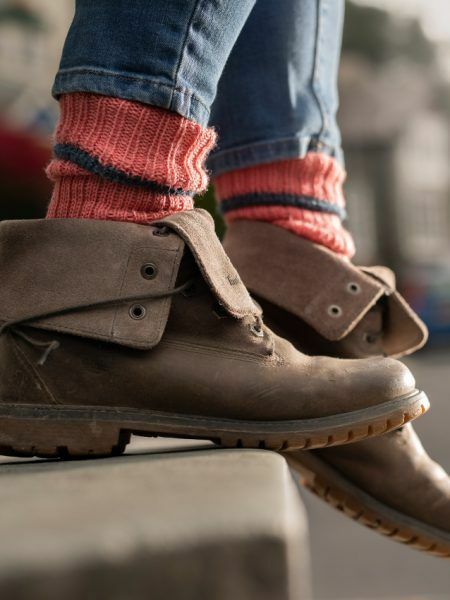 The Exmoor sock is a loosely knitted, over-sized everyday woollen sock. John Arbon spins the yarn for this sock from the wool of Exmoor Blueface sheep which live around Exmoor. 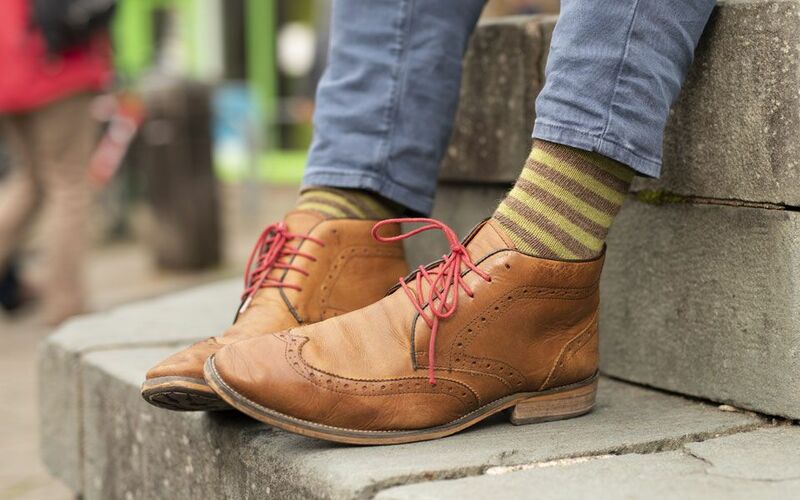 Exmoor socks have a contrast tip, heel and cuff and are available in six, unisex colours. 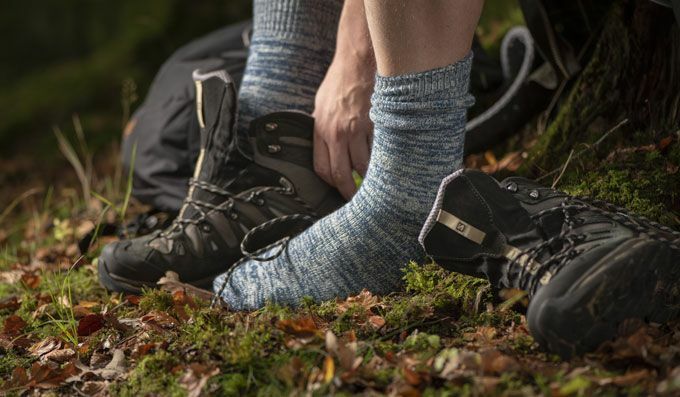 There are two current Exmoor sock offers – the Three Sock offer for £27.50 where you choose the size and we choose the colourways and the Multibuy offer where two or more pairs in any colour and size are £10.50 per pair. Sign-up for Arbon Socks emails to hear about new products and offers. 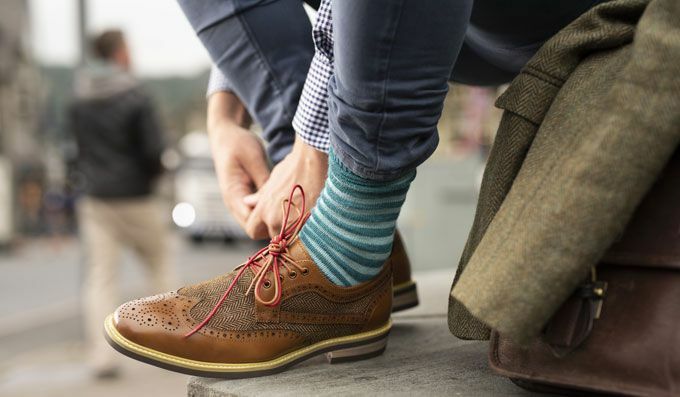 Arbon Socks - British- made luxury.